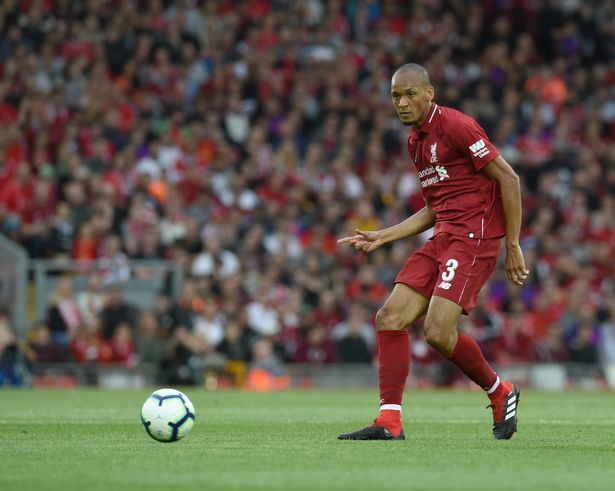 Jurgen Klopp is weighing up whether to hand Fabinho his second Liverpool start when Red Star Belgrade visit Anfield this evening. The Brazilian has been used sparingly since his July arrival from Ligue 1 outfit Monaco, with the form of Georginio Wijnaldum and James Milner in particular restricting his opportunities in the centre of the park. The summer signing’s only start thus far came in late September as the Reds were dumped out of the League Cup courtesy of a 2-1 home defeat to Chelsea. However, his chances of a long-awaited return to the starting XI have been boosted ahead of Wednesday’s game, with Jordan Henderson and Naby Keita both ruled out by hamstring problems. 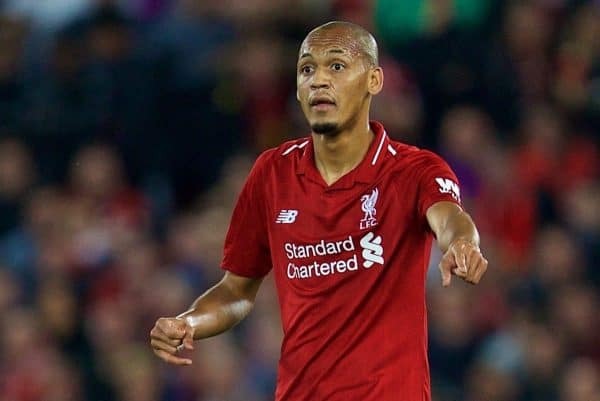 Standard Sport understands that Klopp tested out two different team shapes during Tuesday evening’s training session at Melwood – one featuring Fabinho and one without. And the German will decide his No3’s fate when he makes a final decision on his line-up following a light pre-match session on Wednesday. Such a show of faith would indicate the end of an adaptation process that Klopp believes may have been somewhat hampered by the £43m midfielder’s ‘reserved’ personality. He said: “He has had to adapt to the style of play and, if you watch Fabinho playing at Monaco, he was full of confidence. You come to a new club and it depends a bit on your personality. He’s not the loudest person on the planet. “It’s not that he’s come in and said; ‘Sit down all of you and I’ll explain how we do it because Monaco were in the Champions League semi-final the year before and became French champions. The Liverpool boss has no doubts, however, that he has signed a player who is capable of following Andy Robertson’s lead in going from strength to strength as his debut season at Anfield progresses. “He has all the qualities – hard challenges, good offensively, good defensively, quick, good shooter, fantastic set pieces, good header; all these things,” he added. “Go back a year and look at Andy Robertson. He played one or two games by this stage, not too many, and then he became the player he now is. We cannot – I cannot – shorten the time it takes [to settle].